With Face ID, you can just look at the screen to unlock your iPhone X or authorize an Apple Pay transaction. It's fast, secure, and just plain cool. If that's all Face ID could do, that would probably be enough. But Face ID is much more powerful than that—if you know its secrets. These 8 Face ID hidden features will make you an iPhone X power user. If you have an alarm going off and you look at the screen, the volume of the alarm will automatically decrease because the phone knows it got your attention. The screen won't dim to save battery power. Normally the screen automatically dims after a short period of time, but if the phone sees you're looking at the screen, it knows you're using it and that you want to see the screen. Now, when you get a notification on your lock screen, look at your phone (but don't swipe up on the screen to unlock it). When Face ID recognizes you, the notification will expand to show the full preview. Save website usernames and passwords in Safari when you log into the sites by tapping the pop-up menu. Enable Face ID to autofill those usernames and passwords by going to Settings -> Face ID & Passcode -> entering your passcode -> moving the Safari Autofill slider to on/green. Go to a website where you have an account saved in Safari and go to the login screen. Tap the username or password field. Above the Safari keyboard, tap Passwords. In the menu that pops up from the bottom, tap the user account you want to use. When the Face ID icon appears on the screen, position your iPhone X to scan your face. When Face ID authenticates you, your password is added. This screen lists all of the apps installed on your iPhone that want to use Face ID. To block apps from accessing it, move the slider next to them to off/white. At the same time, press and hold the side button on the right of the phone and either volume button (or both, if you prefer. Either works). This takes you to the shut down/emergency calling screen. Face ID is now off and to unlock the phone, you'll be prompted to enter your passcode. Press the side button 5 times in quick succession. This triggers the Emergency SOS feature, which brings a very loud siren sound with it, so be prepared for that. Tap Cancel on the Emergency SOS screen and then tap Stop Calling to end the call and the siren. Face ID is now off. Without unlocking your phone, say to it, "Hey Siri, whose phone is this?" Siri will display whatever info it has about you—generally a name, photo, and some contact information (if you don't want it to even show this, remove that from the Address Book). At the same time, Face ID has been disabled. Now, to unlock the phone or to turn Face ID on again, enter your passcode. This speeds up Face ID, but it also makes your phone less secure. The Require Attention setting ensures that you're looking at the iPhone and have your eyes open in order for Face ID to unlock your phone. By turning it off, things go faster, but your phone could be unlocked even if you're asleep, unconscious, or trying not to comply with someone trying to force you to unlock your phone. Keep that risk in mind as you decide whether to change this setting. If Face ID doesn't recognize you and the passcode screen appears, enter your passcode right away. When you do that, Face ID takes the scan of your face that it didn't authorize and adds it to the existing map of your face it has on file. Adding the new scan to the original lets it recognize your face from more angles and in more situations. Face ID eventually throws these temporary matches out since they're not part of the original, authoritative scan. 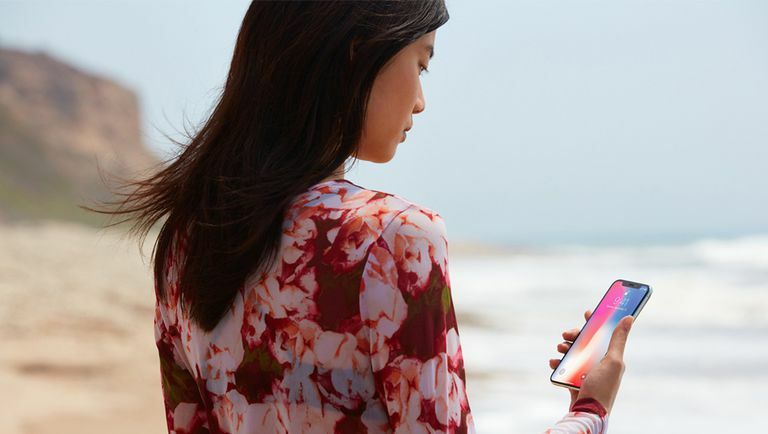 But, for a while, they help Face ID work a bit better for you. If Face ID often fails to identify you correctly, you probably want to set it up again with a new face scan (Settings -> Face ID & Passcode -> enter your passcode -> Reset Face ID and then set it up again).